A 63-year-old woman underwent a routine CT scan of the abdomen and pelvis due to pain. No obvious radiographic etiology for her pain was found. However, another finding was made, prompting deeper concern, especially given her age and significant pack-year history of smoking. To further characterize the lesion, MRI was performed with multiphase acquisition. 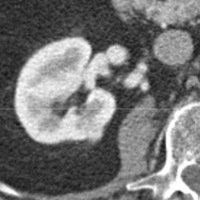 Contrast-enhanced CT during the corticomedullary phase demonstrated a 1.1-cm homogeneously enhancing, well-circumscribed lesion arising from the posteromedial cortex of the right kidney (Figures 1 and 2). No intralesional calcifications, hemorrhage, or necrosis was appreciated. On T2-weighted imaging (Figure 3), the lesion was mildly hypointense relative to normal cortex. On precontrast T1-weighted imaging (Figure 4), the lesion was isointense, demonstrating strong, avid enhancement during the corticomedullary (Figure 5) and nephrographic phases (Figure 6). RCC constitutes a small fraction of all adult malignancies but compromises greater than 90% of all renal neoplasms. Older individuals are affected disproportionately, with a slight male predilection. Perhaps due to surges in advanced imaging acquisition, RCC is being detected at earlier stages. Numerous risk factors are implicated, including, but not limited to, advanced age, tobacco use, chemical exposure, long-term hemodialysis, strong family history of RCC, history of prior renal radiation, and hereditary syndromes (eg, von Hippel-Lindau syndrome, tuberous sclerosis). On contrast-enhanced CT, enhancement patterns are reported to be the most useful parameter in differentiating between subtypes. During the corticomedullary and excretory phases, clear-cell RCC typically exhibits the strongest enhancement, likely a function of its rich vascular network and alveolar architecture. 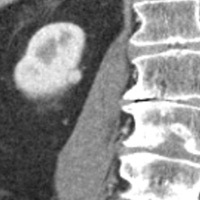 Aggressive features such as hemorrhage and/or necrosis also portend lower five-year survival rates, more commonly seen with clear-cell and collecting duct RCC. The same study found that calcifications herald a slightly better prognosis and are often seen with the papillary subtype.2 With both CT and MRI, the nephrographic phase of enhancement is considered the most diagnostic for lesion identification and differentiation between subtypes. — Shamkant Mulgaonkar, MD, is chief of the renal and pancreas transplant division of Saint Barnabas Health Care System in Livingston, N.J., and past president of the Transplant Society of New Jersey. 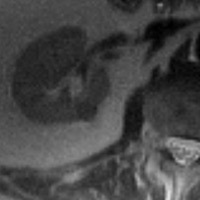 Figures 1 and 2 — Contrast-enhanced CT during the corticomedullary phase demonstrates a 1.1-cm homogeneously enhancing, well-circumscribed lesion arising from the posteromedial cortex of the right kidney. Figure 3 — On T2-weighted imaging, the lesion is mildly hypointense relative to normal cortex. Figure 4 — On precontrast T1-weighted imaging, the lesion is isointense. 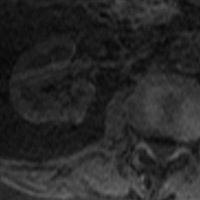 Figure 5 — Contrast-enhanced MR image demonstrates strong, avid enhancement during the corticomedullary phase. 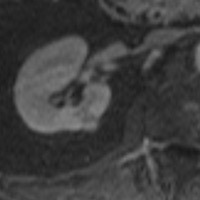 Figure 6 — Contrast-enhanced MR image shows strong, avid enhancement during the nephrographic phase. Ergen FB, Hussain HK, Caoili EM, et al. 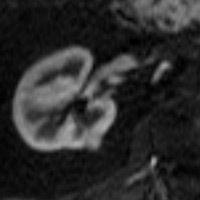 MRI for preoperative staging of renal cell carcinoma using the 1997 TNM classification: Comparison with surgical and pathologic staging. AJR Am J Roentgenol. 2004;182(1):217-225. Kim JK, Kim TK, Ahn HJ, Kim CS, Kim KR, Cho KS. Differentiation of subtypes of renal cell carcinoma on helical CT scans. AJR Am J Roentgenol. 2002;178(6):1499-1506. Calle EE, Rodriguez C, Walker-Thurmond K, Thun MJ. Overweight, obesity, and mortality from cancer in a prospectively studied cohort of U.S. adults. N Engl J Med. 2003;348(17):1625-1638. Prasad SR, Humphrey PA, Catena JR, et al. Common and uncommon histologic subtypes of renal cell carcinoma: Imaging spectrum with pathologic correlation. Radiographics. 2006;26(6):1795-1806. Upton MP, Parker RA, Youmans A, McDermott DF, Atkins MB. Histologic predictors of renal cell carcinoma response to interleukin-2-based therapy. J Immunother. 2005;28(5):488-495.